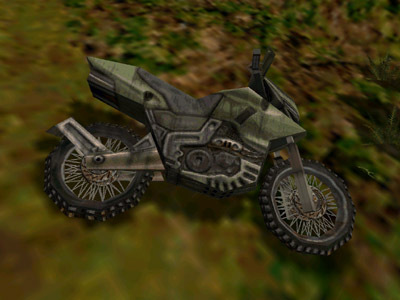 The bike at the very beginning of the level was once speculated to be Sarah’s bike from the Lost World novel, as it is the only one in the game. 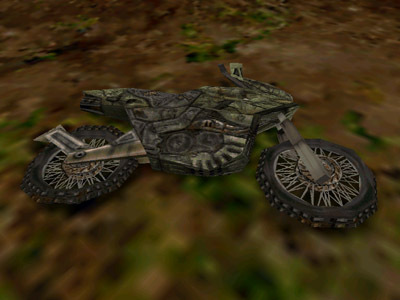 However, this was debunked after it was discovered that the bike was planned to be in other levels as well. 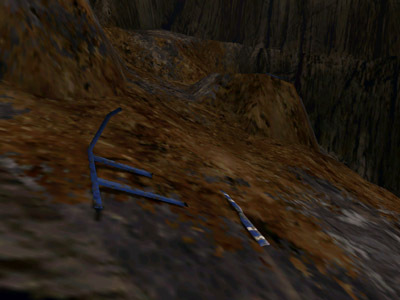 A crashed variant of the bike can be found outside the playing area of this level. 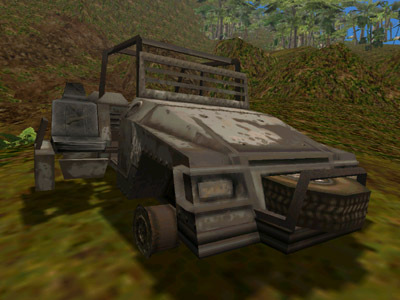 Severel unused vehicle variants can be found outside the playing area, though they do not have any scripting or physics. 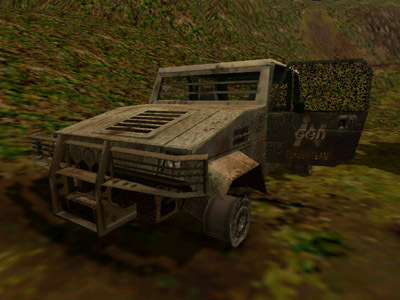 Among the vehicles are a non-crashed jeep with open door and a jeep with a retractable seat, as seen used by Dieter Stark and Carter in the Lost World movie. 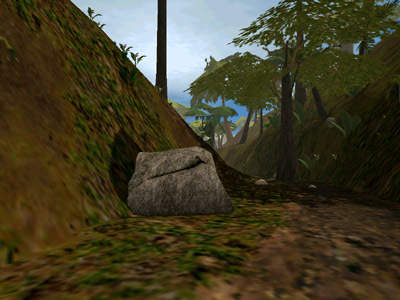 Standing on this rock will play one of the Industrial Jungle ambient tracks. 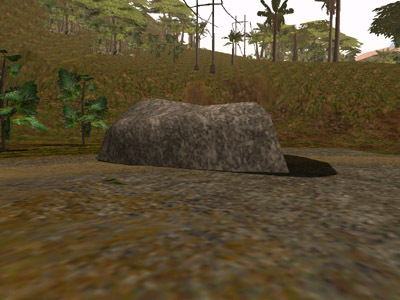 The trigger for the music was supposed to be placed over the riverbed, but it is placed too high for Anne to reach. This explains why the music is only played when climbing the rock, as that is the only way to get high enough to activate the trigger. 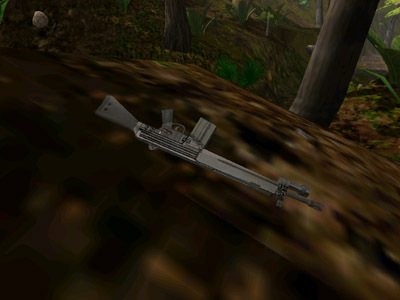 Up near these trees, an HK91 can be found. 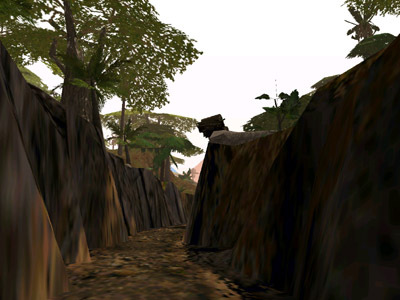 It cannot be reached though, as the area is too steep to climb and it is located behind some invisible barriers. 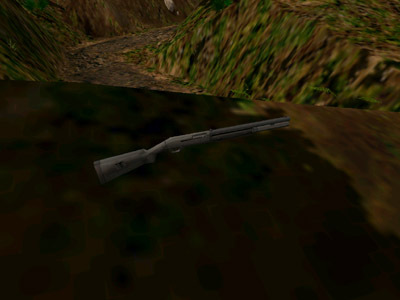 Up near these trees, a Benelli M1 Super 90 can be found. 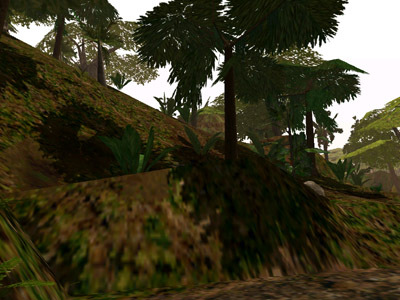 It cannot be reached though, as the area is too steep to climb and it is located within an invisible barrier. 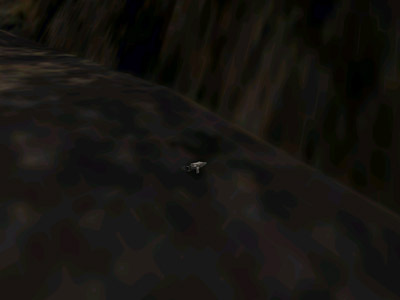 When teleporting to the coordinates, Anne will be pushed out of the invisible barrier instantly. 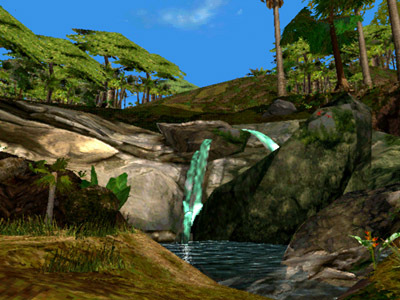 Just past this small pond, Anne will encounter a friendly Raptor. 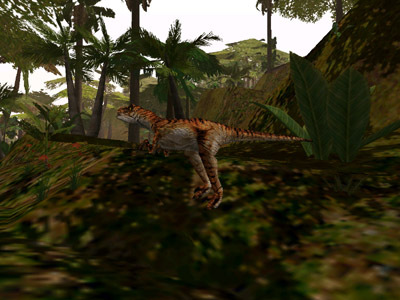 During the creation of the game, the developers were experiencing difficulties with the dinosaurs’ Artificial Intelligence, which was to feature emotions such as fear, happiness, hunger and anger for every dinosaur. Unable to get it to work properly, eventually all dinosaurs had their anger set at maximum, leaving all other emotions at zero. This Raptor however has its hunger and anger set to zero and will not attack unless provoked. 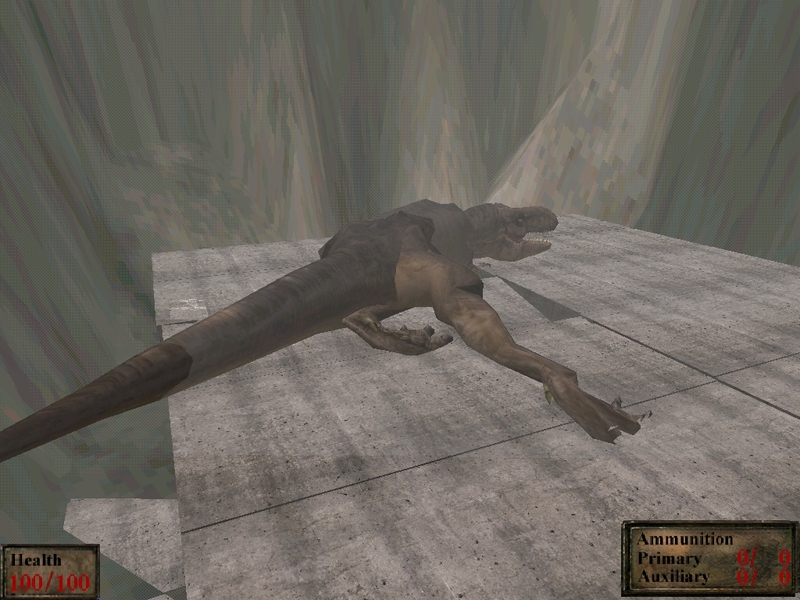 It is possible developers forgot to change the settings for this Raptor. 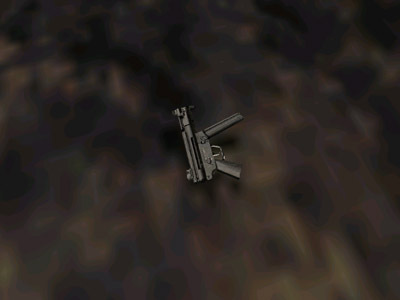 Inside the Raptor gorge, an HK MP5K is partially hidden underneath the terrain. 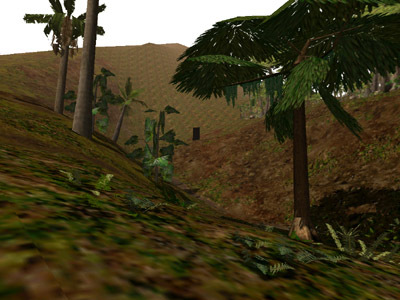 The terrain is also somewhat steep, so the weapon can be a little hard to reach. 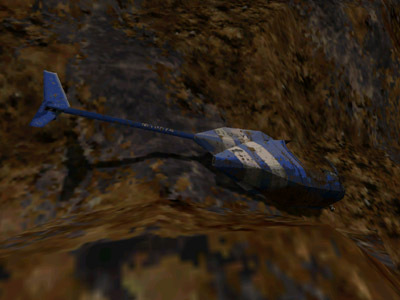 Inside the Raptor gorge, a crashed BioSyn helicopter can be found. In the Jurassic Park novel, BioSyn is the company that sent Lewis Dodgson to meet with Dennis Nedry to offer him a deal to smuggle embryos off the island. 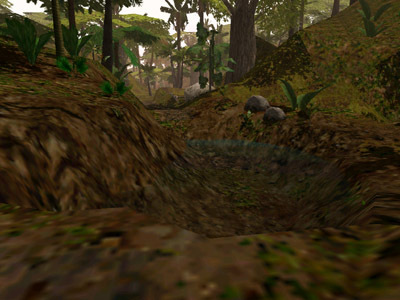 Nedry is ultimately killed by a Dilophosaur, preventing BioSyn from obtaining the embryos. The name ‘BioSyn’ is never mentioned in the Jurassic Park movie, but the sequence of events are more or less the same as in the novel. 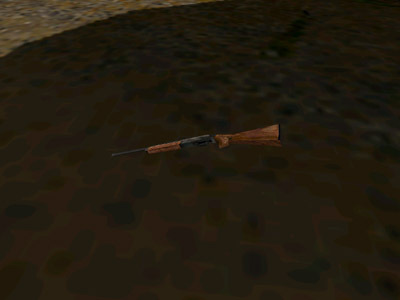 Inside the large boulder on ‘Gravel Hill’, a lodged Browning Hunting Rifle is located. 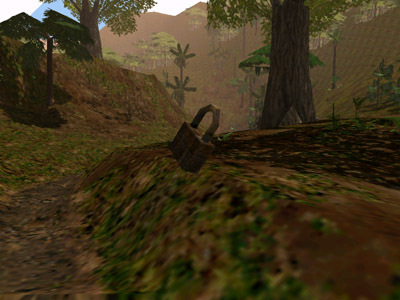 In the riverbed next to ‘Gravel Hill’, a floating lock can be found. 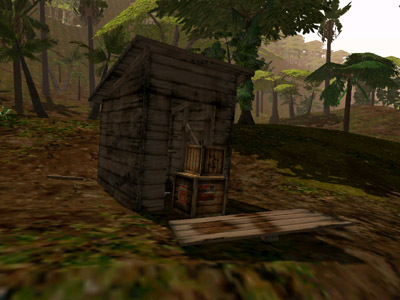 It can be assumed that the construction shack was moved to another location and a developer forgot to move the lock along with it. 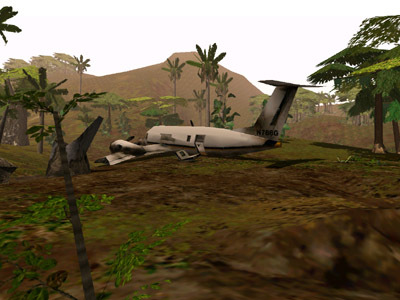 Getting towards the end of the Industrial Jungle level, Anne will encounter a crashed plane. 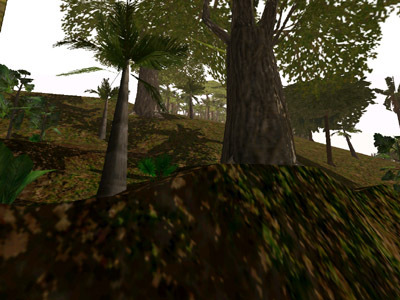 Hammond sinisterly hints at its purpose as Anne approaches it, stating that InGen was neither the only covert business to thrive in Central America, nor the most dangerous. 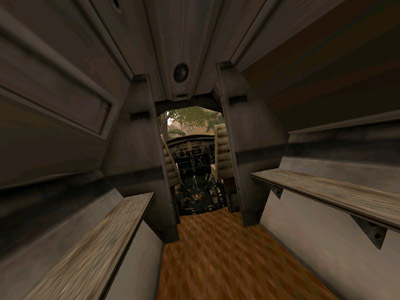 Originally, drug bundles and crates labeled ‘Bogota’ were placed around the plane, but these were ultimately cut from the game. 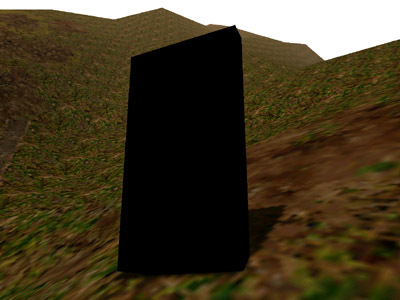 A short distance from the smugglers plane, a black monolith can be seen. It is however located behind some invisible barriers. The monolith is, of course, a tribute to Stanley Kubrick’s movie ‘2001: A Space Odyssey’, which in turn is based upon Arthur C. Clarke’s novel of the same name. Teleport to the coordinates and touch the monolith to play a fragment of the piece called ‘Overture – Atmospheres’. The full piece can be found on the original ‘2001: A Space Odyssey’ movie soundtrack.